I chose these oversized changing pads to feature as a "TWINtuitive Product" because these 18" x 30" handmade changing pads are large enough to lay two infants down upon when used horizontally. There are very few ways to economize your time when you have twins. I find laying both down side-by-side shaves a little time off diaper-changing. I also like using changing pads on the floor over using changing tables when twins are involved. There is too high of a chance that the second twin will do something to draw your attention away from the one on the changing table. Visit "2 Lulas Boutique" for their Grand Opening! 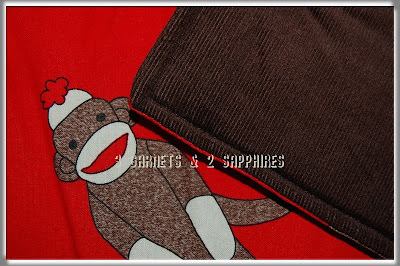 1) My favorite color is red and I have a huge soft spot for monkeys, so I thought the print was just adorable. 2) The fine corduroy is so soft, it feels like velvet. 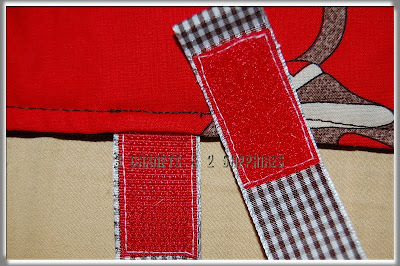 3) These changing pads have a layer of batting inside so the feel is similar to a quilt. 4) I like that this changing pad has an attached fastener to keep the folded pad neat and compact when not in use. This is especially important to me for packing in the diaper bag. 5) I must say that I am very impressed by the workmanship of this handmade changing pad. It is extremely well-made, but still has the charm of a lovingly handcrafted item. 6) I like the idea of fabric changing pads because there has been some press about certain parts of plastic-lined diaper bags and changing pads containing traces of lead. 7) I also think that these are more sanitary because they are machine washable and dryable. This is also important to me because I do not have time to hand wash anything. 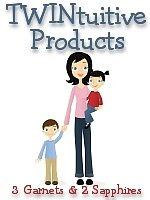 If you like to support mom-owned boutiques, visit 2Lulas.com for beautiful handmade children's clothing and accessories. While you're there, make sure you sign up for the 2 Lulas mailing list to keep up-to-date with new products and promotions. Thank you to 2 Lulas Boutique for providing us with both a review product and a contest prize free of charge. 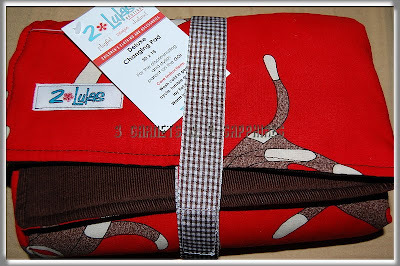 One lucky reader will receive their choice of one 2 Lulas Changing Pad. Visit 2 Lulas Boutique and browse their selection of handmade children's items. Then leave a comment telling me which item(s) you would be proud to give as a baby shower gift (aside from a changing pad). You MUST do this to be eligible to win this contest. 1) For an extra entry, leave a separate comment telling me which changing pad you would choose if you won this contest. 2) For 5 extra entries, leave a relevant comment on one of my non-giveaway posts. Then leave FIVE separate comments with the name of the post on which you commented. You will earn 5 extra entries for each different non-contest post you comment on. 3) For 5 extra entries, enter one of my other contests. Leave FIVE separate comments here telling me which contest you entered. You will earn 5 extra entries for each contest you enter. 5) For 10 extra entries, blog about this contest linking back to this post AND 2 Lulas Boutique. Then come back here and leave TEN separate comments with the link to your blog post. This contest will be closed on Monday, September 14th, 2009 at 11:59pm EST. A random number drawing will be held shortly after. The winner will be announced here and will be contact via email or through their blog. If the winner does not respond within 48 hours, a new number will be drawn.